Bearcat Tool manufactures a unique line of over 50 different styles of non-marring hammers, mallets and related specialty hand tools ideal for industrial, aerospace, automotive, food processing, and many other manufacturing environments. 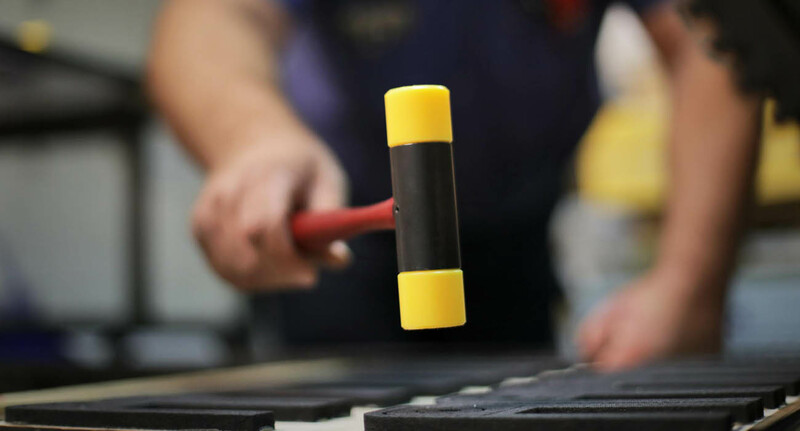 We specialize in the design and manufacture of extremely durable, replaceable-tip soft face hammers that avoid sparking and marring and other damage to the work surface. With roots dating back to 1939, Bearcat Tool has a deep history in the specialty tool industry. The original company was formed to manufacture a niche line of hammers for industrial and automotive use. Over the next several decades, more products were added to fill the needs of existing and new customers in additional industries. The company now offers over 50 types of industrial tools as well as tool and shop accessories. The products are distributed throughout America and the world. Browse our website to learn more about our tools, view our product selection and order for your company. Contact us with questions. We look forward to hearing from you.